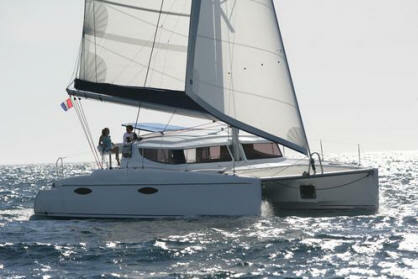 This catamaran is fully equipped with sunbathing nets at the front and seated covered area at the rear. 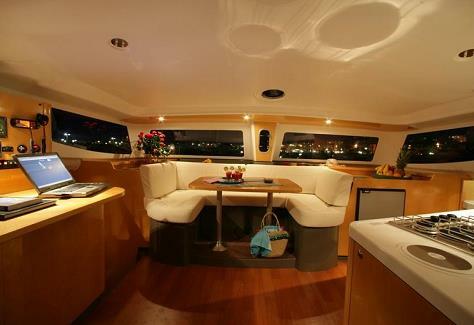 She has two double cabins, two heads and saloon/kitchenette area. Manufactured by Fountain Pajot in 2007. Shade area - Steps at each side at the stern.